Follow the links on the icons and headers to access the websites or pages. Please get in touch with us at info@sportsmedialgbt.com to submit your site, pod, Twitter handle etc for consideration for this page. Unrivalled in the breadth and depth of its coverage, Outsports has been providing sports news and opinion with a focus on lesbian, gay, bisexual and transgender athletes and personalities for nearly two decades. Many have chosen to share their personal stories with managers / editors Cyd Zeigler and Jim Buzinski over the years, from US high-school students right through to elite-level professional stars. In February 2019, Dawn Ennis joined the team as a managing editor. 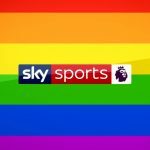 Sky Sports is the biggest commercial digital sports network in Europe, and one of the members of TeamPride, a coalition of businesses and brands that supports UK charity Stonewall’s Rainbow Laces campaign for LGBT inclusion in sport. Head over to skysports.com/rainbowlaces to find related content, including news, features, short films and more. Sky Sports’ Home Page Editor Jon Holmes (@jonboy79 on Twitter) is also the network lead of Sports Media LGBT+. You can get in touch with him at jon@sportsmedialgbt.com. 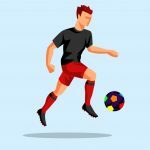 Host Adam McCabe writes: “The Gay Footballer’s Podcast is a podcast with the goal to spread the awareness of LGBTQ and ally representation in sports. With the main focus being on football, but also exploring other sports and personalities, each episode will consist of a 30 to 45-minute interview with an individual making an impact in their sporting discipline. Whether a current or former athlete, a member of an organisation’s front office, or even a sports journalist, each interview will help uncover the challenges, opportunities, and success LGBTQ individuals and allies face in their discipline within sport.” Guests so far include Sports Media LGBT+ founder Jon Holmes, and the football referee Ryan Atkin. 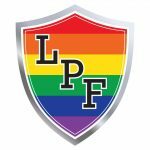 We’re supporting The Gay Footballer’s Podcast with additional editorial – click here for content! Creator and host Randy Boose writes: “This podcast is all about bringing the stories of LGBTQ+ athletes and sports media personalities to the world, told through their own voice. My hope is to take away the stigma and negativity on the field of play and show these people are equal with the athletes around them.” Guests so far include Olympic gold medal-winning figure skater Eric Radford, world record-holding race walker Tom Bosworth, and the editor and founder of Outsports, Cyd Zeigler. We’re supporting Level Playing Field with additional editorial – click here for content! 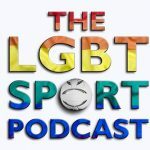 Launched in September 2018 by Jack Murley following the success of his ‘The Other Side’ digital radio show, ‘The LGBT Sport Podcast’ is an interview podcast from the BBC. Jack, who hosts the pod and asks the questions, is a BBC Radio Cornwall presenter and commentator. Previous guests have included Matthew Mitcham, Clare Balding, Jill Ellis and Mike Parrow. Follow Jack on Twitter at @jack_murley and check out our #21QuestionsWith Q&A with him too. 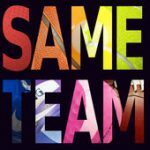 ‘Same Team’ is a podcast hosted by Daniel Trainor featuring influential LGBTQ athletes, journalists and personalities discussing the complexities of their respective journeys and the importance of their missions. Previous guests have included Matt Pacifici, Jessica Platt and Nick McCarvel. Follow Daniel on Twitter at @dantrainor1 and read our #21QuestionsWith Q&A with him. The podcast is also available via Soundcloud. ‘Balls’, hosted by Connor Moseley and Mason Jordan, is an occasional podcast about all things LGBT+ within football. 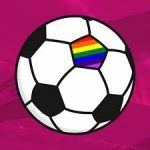 The aim is to make football more inclusive for all, including LGBT+ fans and players alike; something which can often be a difficult topic of discussion. They’ve spoken to England fans group Three Lions Pride and Soho FC’s Andy Ward on previous episodes. Follow on Twitter at @BallsThePodcast. The Star Observer is Australia’s largest and longest-running LGBTI media outlet, in print and online. They publish a national monthly magazine and update their website with news and features daily, including LGBTI sports content. 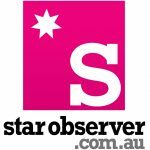 Follow editor @MatthewRWade and journalist @JesseJonesAU on Twitter to keep up with the latest, as well as the publication itself at @star_observer. Compete Magazine is a US-based print and digital publication covering LGBTQ+ sports, with an emphasis on health and fitness. Follow on Twitter at @competesports, and like their Facebook page. Sydney-based Danielle Warby‘s website at daniellewarby.com is devoted to both women in sport and LGBT inclusion. Sign up for her superb weekly digest emails! WiSP Sports is the world’s largest digital network for podcasts and content on women’s sports. Founded in 2015 by Chris Stafford, the platform brings together journalists, broadcasters and athletes in wide-ranging conversations; with a commitment to diversity and equality, LGBT+ inclusion is often a talking point. Follow on Twitter at @WiSPsports. All Heels On Deck – A feminist writing platform prioritising underrepresented voices in baseball: women, POC, & LGBTQ. Pay in $ not exposure. All inclusive. Follow on Twitter at @allheelsondeck, and founder editor Jessica Quiroli (@heelsonthefield). The Guardian‘s ‘LGBT rights’ topic page often carries links to sports-related content on the platform. Out.com has a page dedicated to gay athletes, while LGBT website Advocate.com has its own sports page, as does PinkNews. Gay Star News occasionally posts sports news stories and features. The Huffington Post has an LGBT sports topic on its website, with Outsports editor Cyd Zeigler among its contributors. Latitud Gay is an LGBT radio show broadcast from Buenos Aires in Argentina every Saturday (9pm to 11pm), covering various topics, including sports and LGBT athletes. Hosted by Arturo Lodetti. Follow on Twitter at @LatitudGay. Katie Barnes – sports and culture writer at ESPNW. On Twitter at @katie_barnes3. Katelyn Best – soccer writer at Equalizer Soccer and contributing editor Stumptown Footy, SB Nation’s Portland Timbers and Portland Thorns blog. On Twitter at @BestKabest. Nick Heath – rugby union writer, broadcaster and producer. Nick is on Twitter at @nickheathsport and has a Facebook page too. He’s also one of the hosts of the annual RVT Sports Day in south London. Gareth Johnson – journalist and writer. Specialist in LGBT content. Editor at Means Happy, which often features sports content, and at Mainly Male, a blog for gay men with its own sports section. On Twitter at @GTVLondon. Kevin Majoros – sportswriter for the Washington Blade, one of the biggest LGBT news websites in the US – check out its sports section here. On Twitter at @sportinindc. Nick McCarvel – tennis, figure skating, and Olympics broadcast journalist and presenter. Nick is the brains behind the #LGBTennis events held in New York and Melbourne in recent months. He’s on Twitter at @NickMcCarvel, and also on Instagram and on Facebook. David Mooney – football writer, author, broadcaster and radio producer. Host of Blue Moon Podcast (Manchester City). Published on JOE.co.uk and Tifo Football. Runs Football’s Coming Out blog. On Twitter at @DavidMooney. Kate O’Halloran – sportswriter, editor, and host of the ‘Kick Like A Girl’ AFLW radio show, Kate is based in Melbourne and also holds a PhD in gender studies. On Twitter at @Kate_ohalloran. Want to be featured on this page? Drop us an email at info@sportsmedialgbt.com to request!